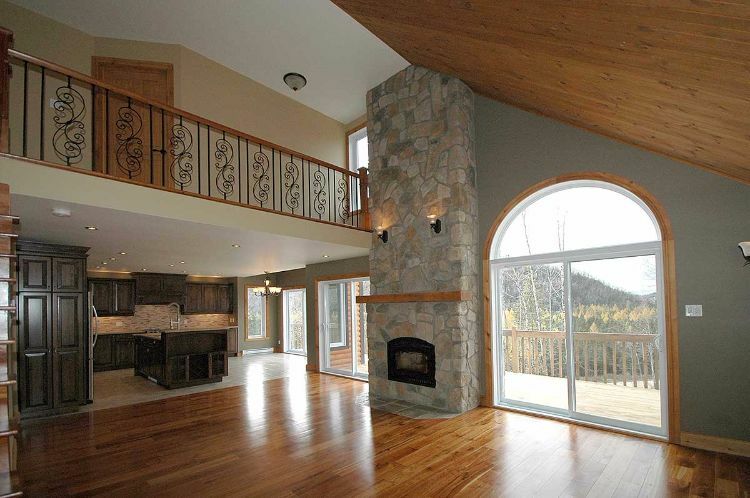 The perfect type of log home for you, of course, depends mostly on the location where you are planning to put it. 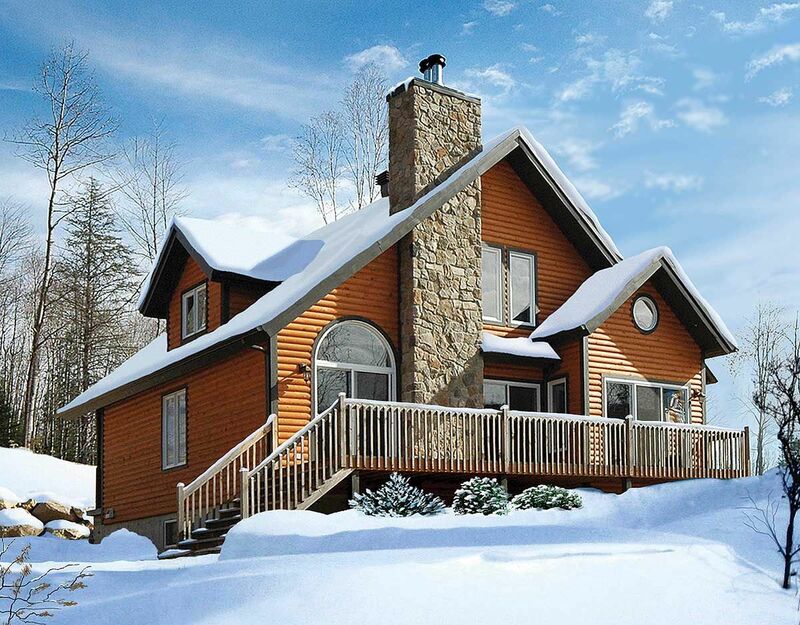 Winter in Maine is an entirely different prospect from winter in California, and your log home must be adaptable to suit all four seasons. Plan 21091DR, listed on Architectural Designs, is a robust log home that complements the outdoors lifestyle no matter the season. Easy access to the large deck gives a seamless flow from indoors to outdoors — perfect for the summer months. 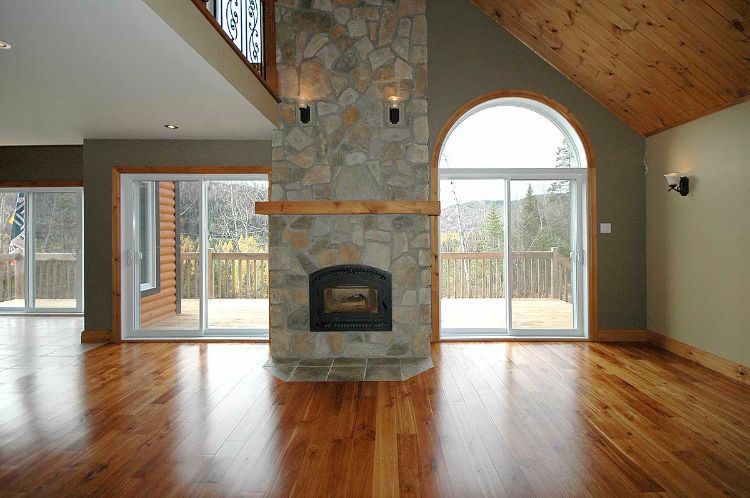 The solid log construction has fantastic insulation and a large stone fireplace, creating a cozy retreat for the winter. The stone chimney gives the house an assertive presence. It appears much more stately than its actual size, with 1,625 square feet (151 square meters) of interior living space. The contrast between wood and stone creates an attractive aesthetic and is a functional response to the weather. 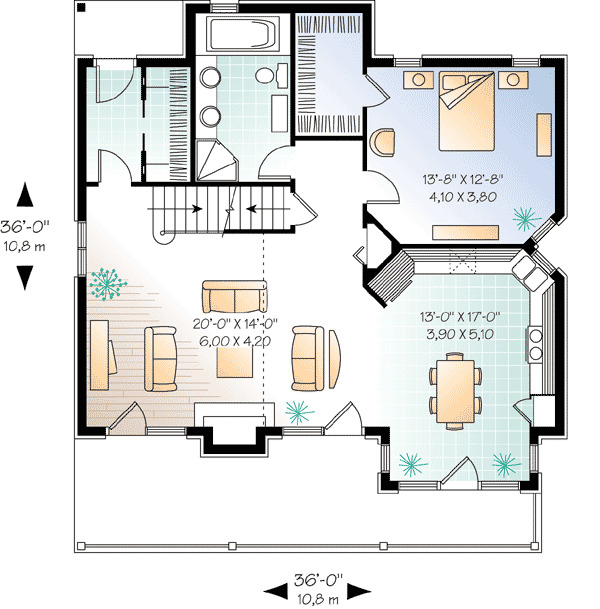 The floor plan includes three bedrooms and two bathrooms. The great room is a tasteful blend of contemporary and rustic finishes. The soaring cathedral ceiling and large windows create a bright, open living space. The large deck area can be accessed from three sliding glass doors, opening up the entire home to the glory of spring and summer days. The wood-burning fire will provide a cozy centerpiece during the colder months. What a gorgeous kitchen! 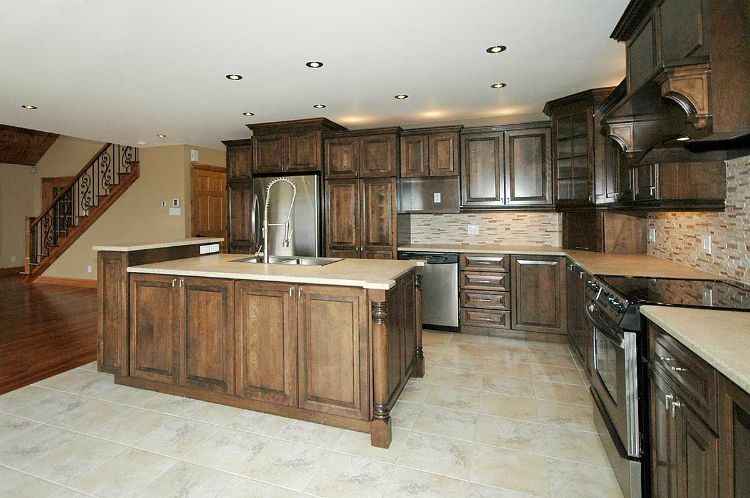 The stainless steel fixtures and fittings contrast perfectly with the natural wood grain of the cabinetry. Family time is often centered around mealtime, and this incredible cooking space accommodates group gatherings. It's perfect no matter how large your party. 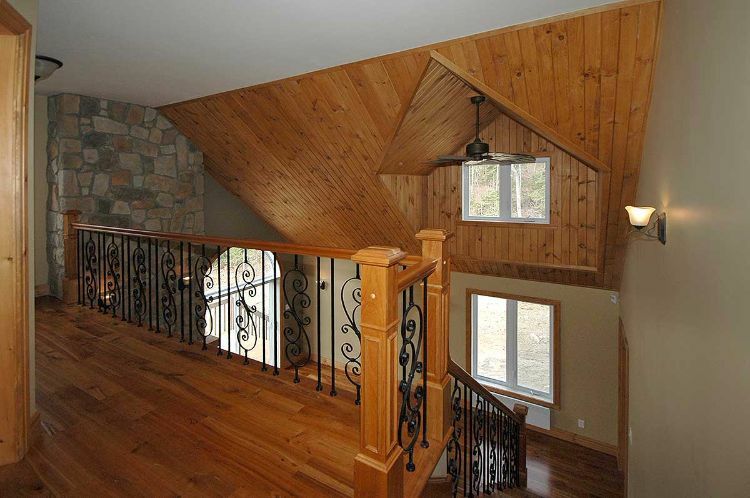 The main living room has a mezzanine level that overlooks the family room. The wood-paneled ceiling is an attractive feature. 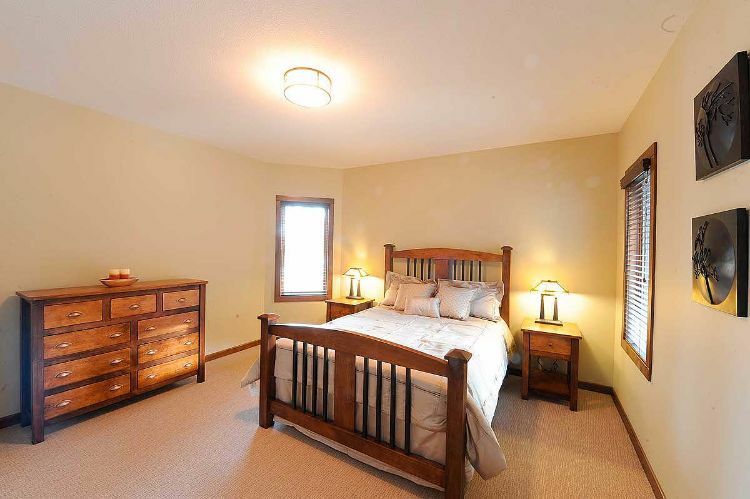 The main level houses the master bedroom, while two additional bedrooms are located upstairs. 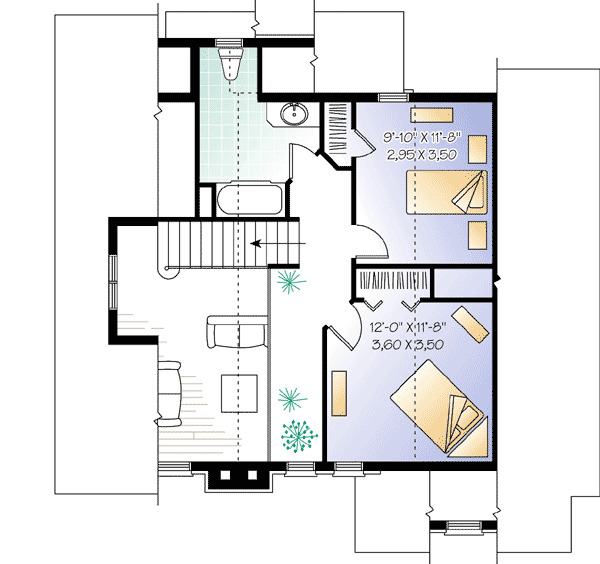 They are all spacious sleeping quarters with ample attached closet space. 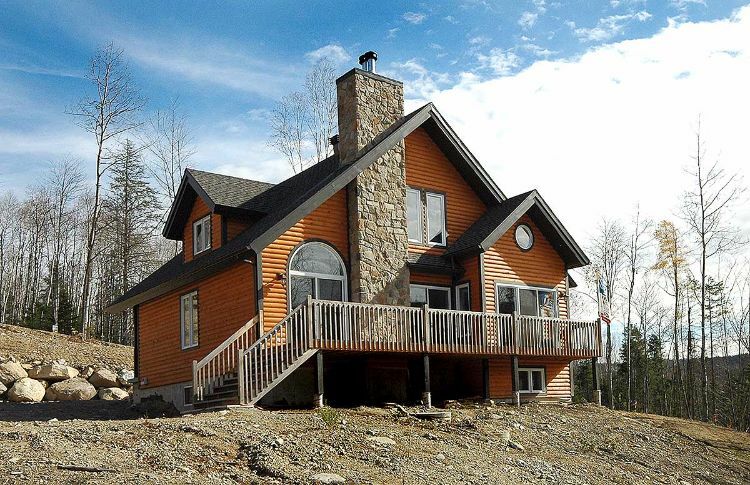 This is a very nice log home, perfect for any season. Did you like it? Share, comment, and like on Facebook. 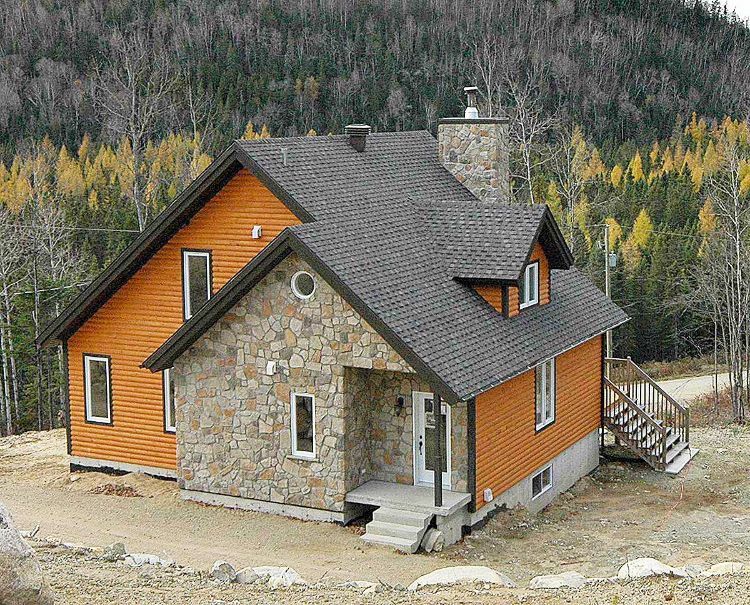 This custom-built home with breathtaking views of the mountains is absolutely worth the trip.